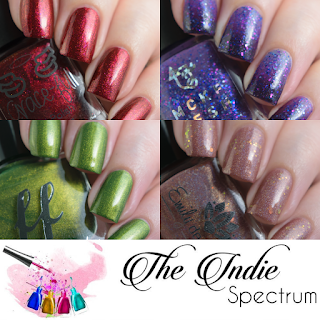 The last Indie Spectrum box for the year has arrived and it's filled with Christmas cheer! 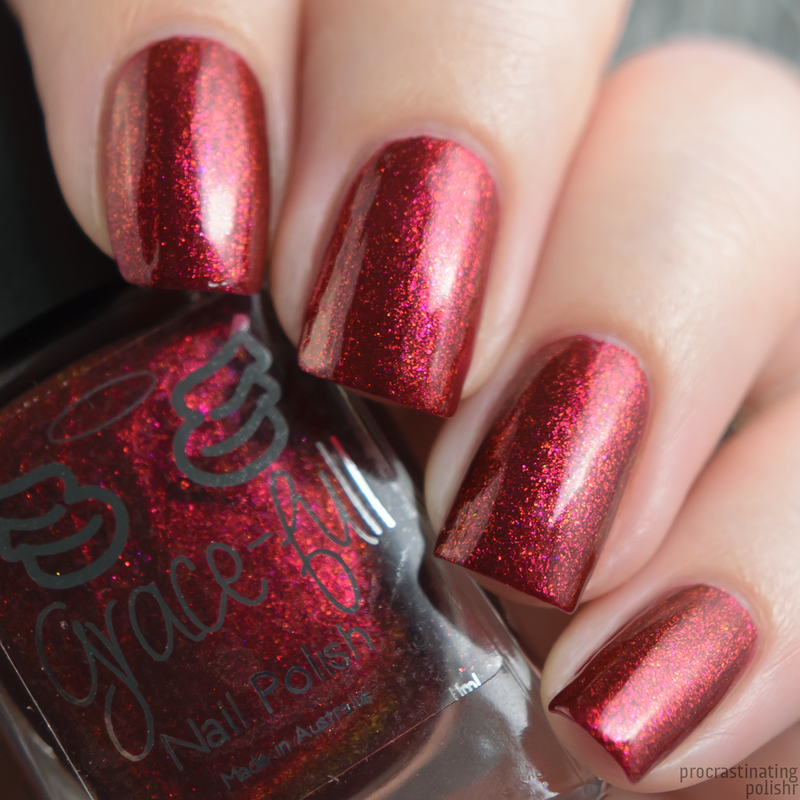 Four festive shades from the usual suspects Grace-full and Emily de Molly, with this month's guests being Femme Fatale and Mckfresh - so you know it's gonna be a good one! 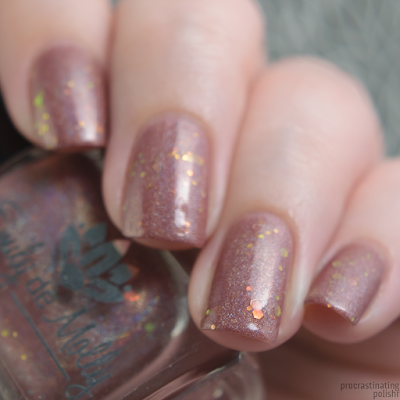 A rosy taupe holo with iridescent orange/green shifting glitters. I definitely wasn't expecting a neutral tone like this to pop up in a holiday themed box, but I love it! 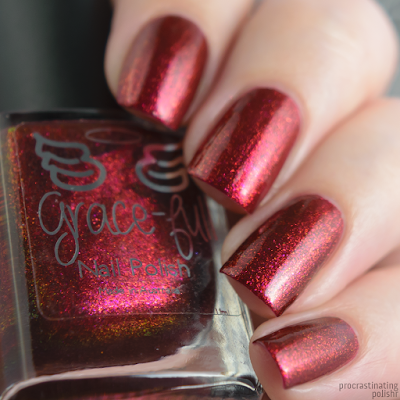 It's a classy shade that still pops with festive sparkle. The formula is easy to work with and the glitters are sparse enough that they don't leave the finish too bumpy, though I still recommend a thicker top coat to ensure the smoothest possible finish. I used three thin coats but I think you could get away with two quite easily. 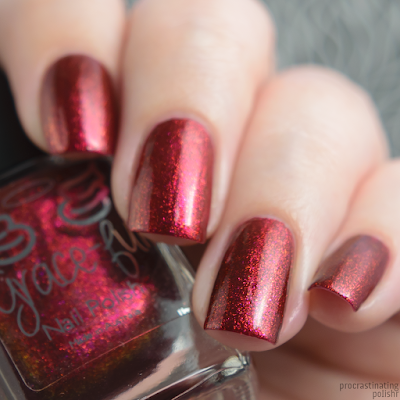 A perfect Christmas red with pink and gold aurora shimmer. 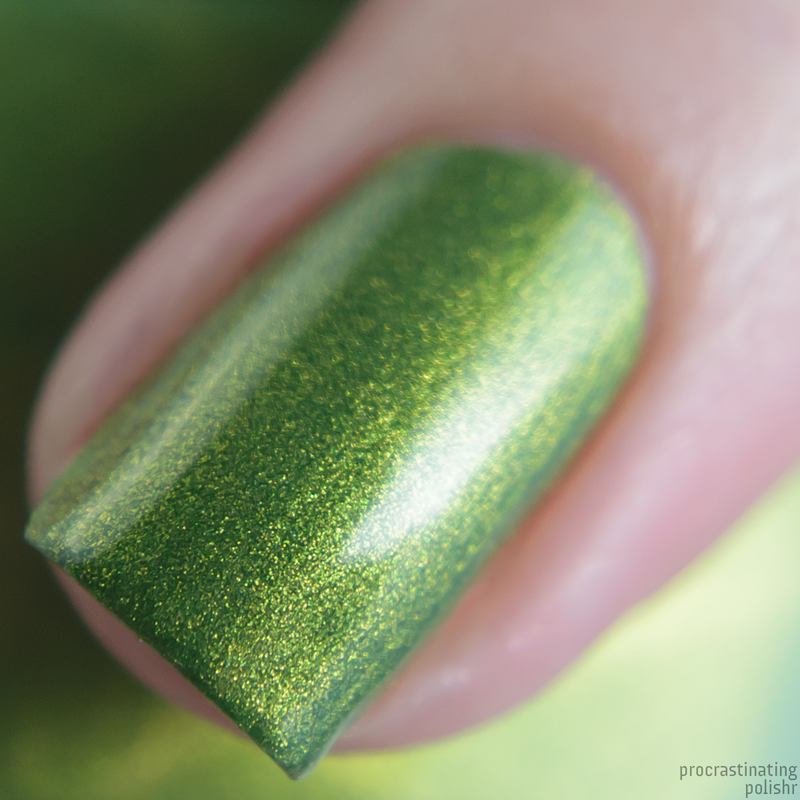 The aurora shimmer gives it a lovely subtle shifting sheen that I found impossible to capture on camera. 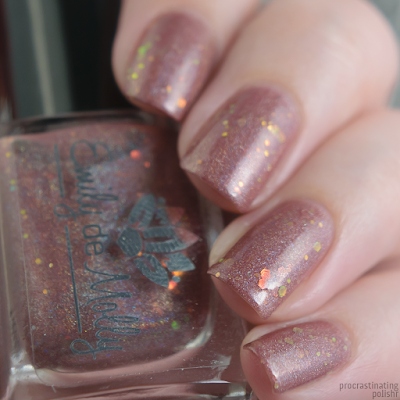 Festive and glowly, it's Christmas in a bottle. 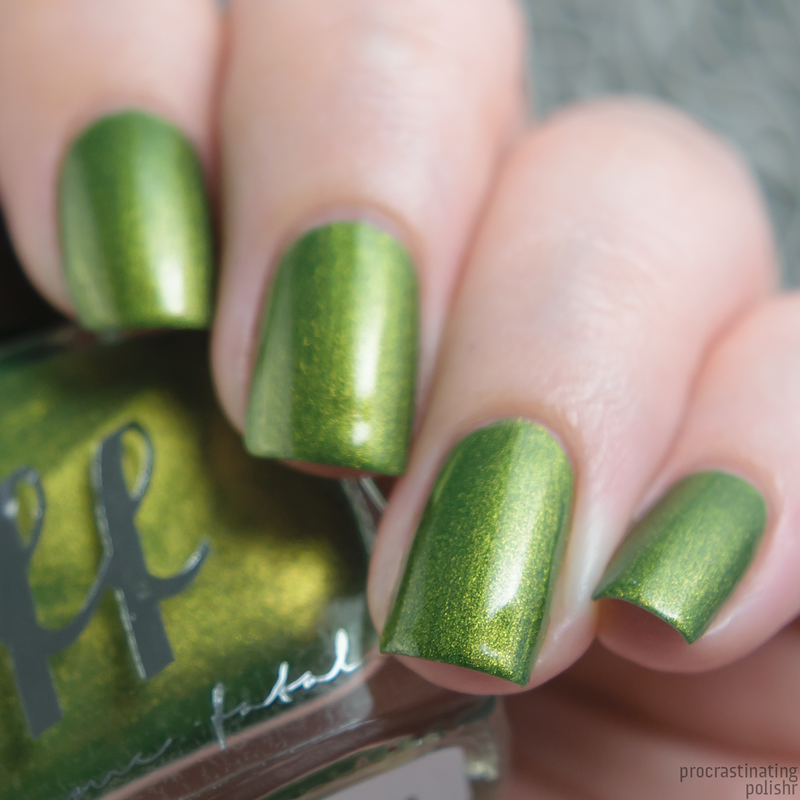 The formula is a real treat, nice and even to apply with a lovely smooth finish. As it has that foil style appearance I recommend a ridge filling base coat if you have ridges or other imperfections in your nails. My swatches show three coats but again I think you could get away with two. Tri-phase thermal that shifts from periwinkle when warm through mid purple when cool to deep eggplant when icy cold. Loaded with complementing glitters and iridescent highlights. As a warm blooded person living in a warm climate I struggled to get this to stick in the cool or icy states for too long, so I'm hoping it's still this effective when it's winter here! 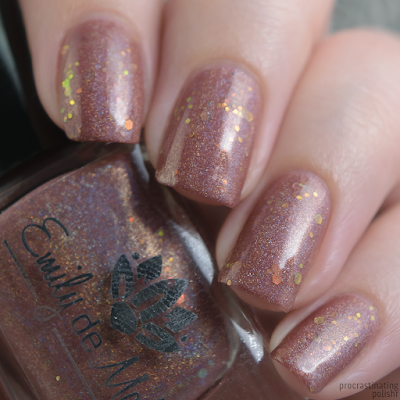 Another lovely formula, it glides on smooth and the glitters spread easily across the nail. I used a thick top coat to ensure a perfect finish. My swatches show three coats - perfect for the cool and icy states but just a little sheer in the warm state. Forest toned green with a gold shimmer overlay. The gold shimmer really picks up in the light and gives this a bump of brightness over the slightly dirty forest green base. In the shade or lower light it appears richer and darker. 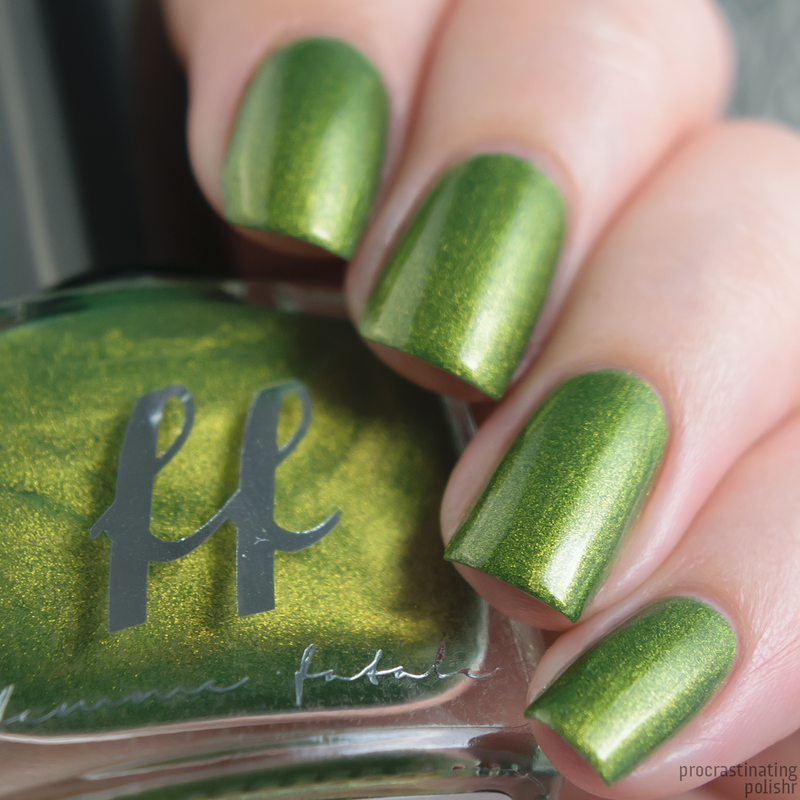 No surprise that the formula is gorgeous, it applies beautifully leaving a brushstroke free finish with a great even shimmer. My swatches show three coats with a glossy top coat. You can grab The Indie Spectrum box via www.theindiespectrum.com until 8pm AEDT Tuesday 20th November. The box now ships WORLDWIDE! Aussie residents, you can pay with Afterpay via the Grace-full website!